Simon Says Anything But a Card! Thank you for joining us for the Winter Birthday Challenge and we hope you will all join us again this week too. This week we are showcasing We R Memory Keepers Products. You don’t have to use them for the challenge but if you have them we would love to see them used. 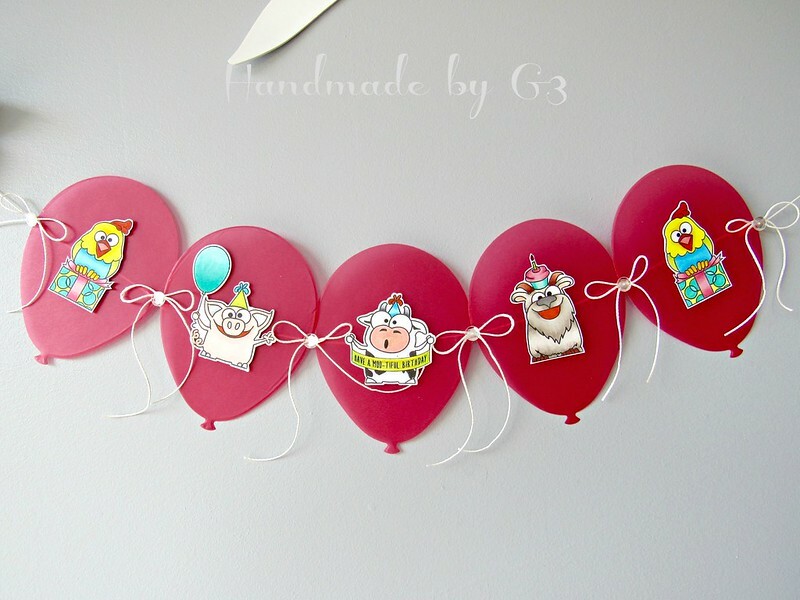 I used We R Memory Keepers’s DIY Party Vellum Pad to make my birthday banner. I used the red vellum paper and Simon Says Stamp Balloons die to die cut five red vellum balloons which forms the base for the banner. To dress it up, I used Simon Says Stamp’s Birthday Farm Animals stamp set. I stamped the animal images and copic coloured them. There are coordinating die set has dies for two of the images. So I used those dies to die cut two of the images and hand cut the rest of the images. I adhered them on the balloons using foam adhesives. I ran a thread behind the balloons to make them a banners. Then added bow made out of the same thread between two balloons and at the ends of the balloons. Here is a closeup of the banner. Simple, easy and love the coloured vellum. Perfect for little kids birthday party. 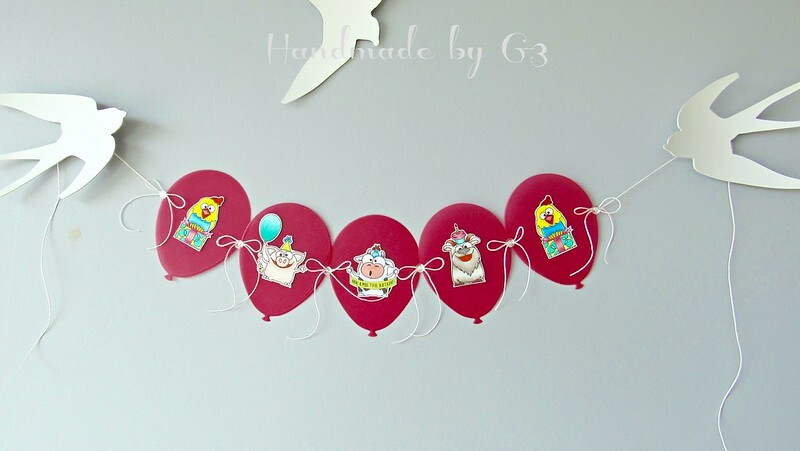 The Balloon dies have smaller balloon die which can be used as cupcake toppers and decorate the party bag. Cool huh! So now it’s YOUR turn. Happy Crafting! This is brilliant and so much fun !!! What a fun project for the challenge, Gayatri! Too cute!